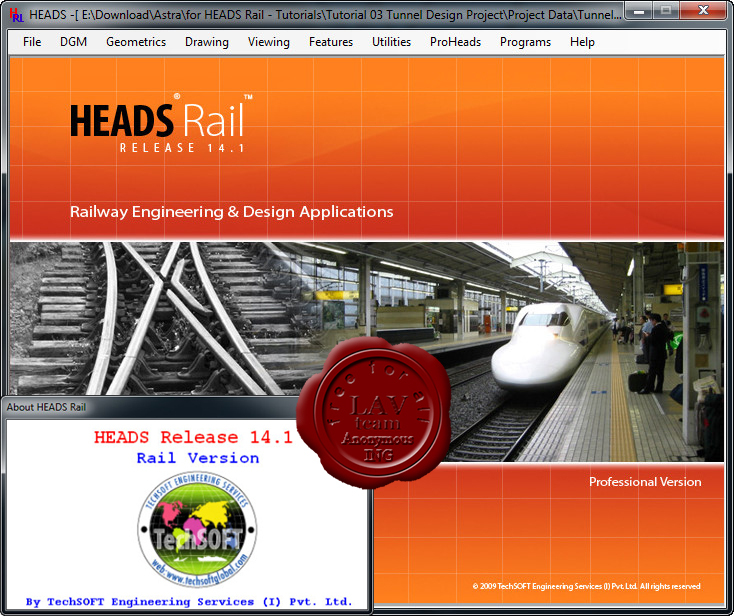 The best available tools essentially Include the selection of most appropriate Railway Design software which must be capable of handling any type of situation and the best manpower is the engineers and other technical staff who have the essential educational background and sufficient experience in working for similar projects and most essentially have required level of training to use high quality design software products. HEADS Rail is applicable for Metro Railways for design speed of 135 Kilometres per Hour or more, Standard gauge, Broad Gauge, Meter gauge, any defined maximum "Cant” at Super elevated sections giving inner edge rotation, Curves with Clothoid Transitions, Earthwork Estimation, Construction Drawings, Design of rail Yards, Design of Points, Crossings, Track Diversion in case of Repairing, Curvature, Train Resistance & Haulage Capacity on Grades and Track stresses. The development of effective road transport system is the primary need of any developing country and the upgrading of existing road network system is essential for the developed countries as the capacities of roads in urban and non-urban roads are reached to saturation level with the passage of time. The road development involves very high degree of attention by the project Authorities as well as by the Consultants, Engineers and Contractors. Any mistake May result in expenditure of a few millions which could have been avoided. Normally the design of route alignment and the pavement structure decide the cost of a highway project and for this job the best experienced manpower and best available tools must be deployed. 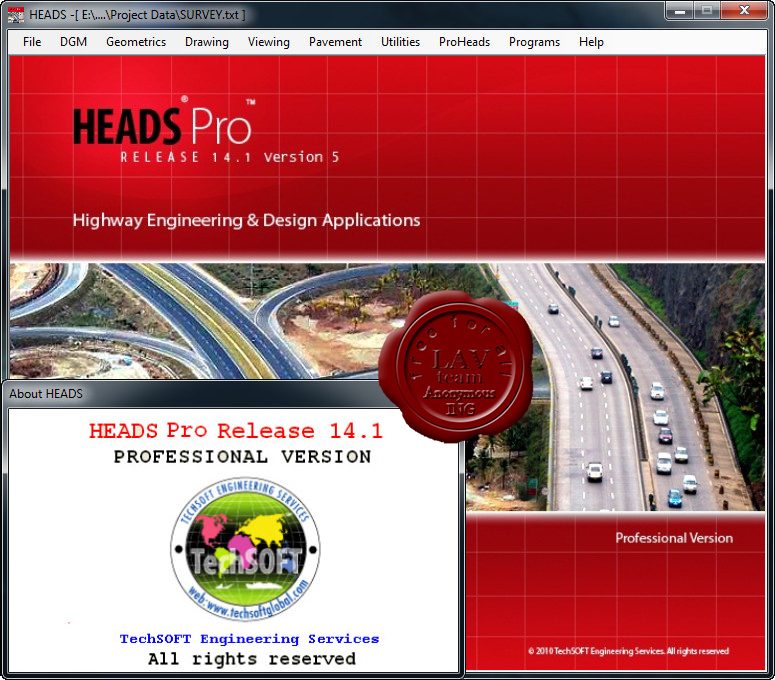 The best available tools essentially Include the selection of most appropriate Highway Design software which must be capable of handling any type of situation and the best manpower is the engineers and other technical staff who have the essential educational background and sufficient experience in working for similar projects and most essentially have required level of training to use high quality design software products. String based software generally starts functioning using the Detail Survey data primarily using Total Station instrument. But there are a lot more tasks to do in an actual project, before obtaining the Detail Survey data. These essential tasks are most commonly the Obtaining two Reference points at every 5 Kilometres using GPS instrument, Using the GPS Co-ordinates carrying out Traverse Survey by using Total Station instrument, Obtaining Correct Traverse Co-ordinates by Bowditch or Transit or Closed Link method followed by installation of Reference Pillars to help in carrying out the Detail Survey. These are essential tasks for any Detail Survey project. Once the GPS data are available in Easting and Northing, these become usable by the Total Station instrument. The Coordinate conversion needs correct parameters and the process is also quite cumbersome. 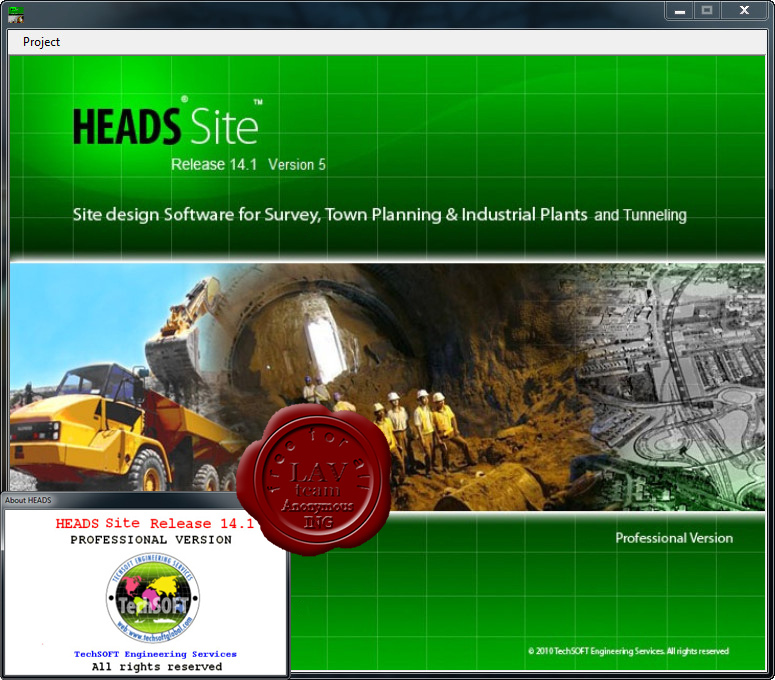 In HEADS Pro the Conversion of Survey Data or Survey Base Plan is very simple. Additionally the Correction of Traverse Co-ordinates to install Reference Pillars also needs considerable amount of time and effort by the engineers at the project site. Without carrying out the Topographical Survey it is also possible to download the Ground elevation data from internet using SRTM facilities and the same is to be processed for developing Digital Terrain Model (DTM) and Ground Contours. This enables the engineers to carry out the alignment design work for widening of existing roads or construction of new roads. Here comes HEADS Pro as the complete one stop solution for these requirements by the site engineers at simplest effort. Being a String based software HEADS Pro is very versatile to handle various site situations and eventually comes as an ‘All Complete Solution’ for various Transportation Engineering projects. ASTRA Pro software from TechSOFT Engineering Services is based on Structural modeling technique and is today’s established name in offering the users all the facilities of structural analysis in the simplest way. It accepts User’s data in the form of Text Data or Interactive data. It offers the facility to use commonly formatted data structures to create automatic modeling and then to go for Analysis to generate Detail Report to display visual presentation of Animated model for Load deflection and finally to create CAD drawings for Reinforcement Detailing, 3D dynamic rotation view, Bar bending schedule and Take off quantity. In Structural engineering various software products are available in the market, but the essence of Astra lies in its simplicity for applications which is a very complex process and such simplicity is hardly available in other market available products. 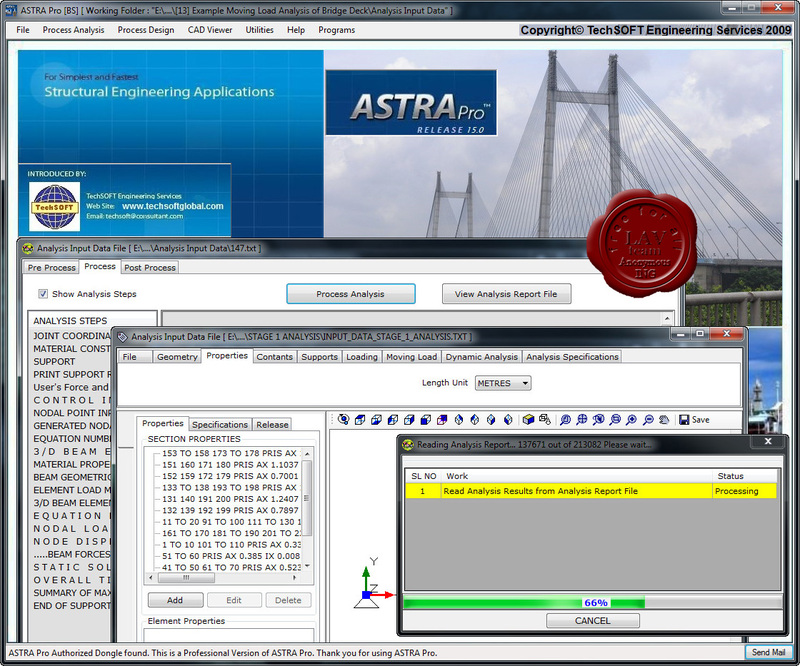 AstrA has its own powerful CAD engine and is best appreciated for its Features, Completeness, Versatility, Fastest Processing, Simplicity, Format and details of report and Exchangeability of Input / Output with other commonly used Structural Engineering software and all popular CAD software.